Family owned and operated. We will treat you like one of our own. Serving Illinois and Wisconsin for over 27 years. Best Value for the price shopper. Friendly sales associates, Aggresive Pricing. We get our vehicles at a great low price, therefore we can pass the same savings on to you! All resonable offers are accepted! Convenient location on the corner or Route 173 and route 41 in Wadsworth. One exit after Gurnee mills on the 94. From Wisconsin take the Waukegan exit , we will be on your right at the next light. We will sell your car for you! We take Consigment vehicles , call us for details. WWW.route41budget.com Information on website deemed reliable, but not guaranteed. Interested parties should confirm all data before relying on it to make a purchase decision. 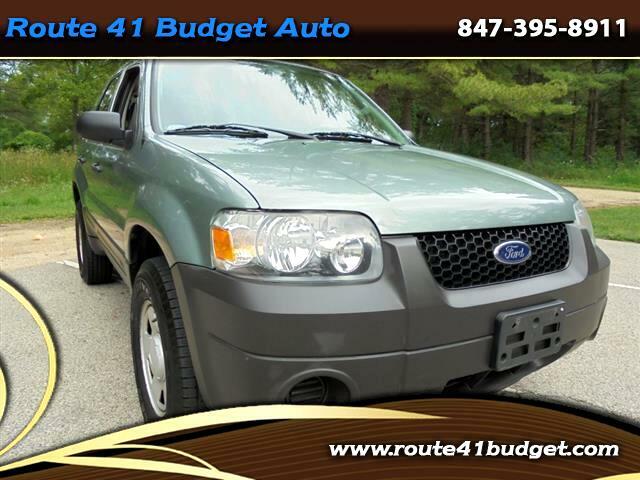 Message: Thought you might be interested in this 2006 Ford Escape. I have bought two cars from here and both experiences have been excellent. I was given many options of cars to choose from and I was told what issues each car has to make an informed decision on the right car for me. They give their repeat buyers more reason to continue to buy from them with extra deals.